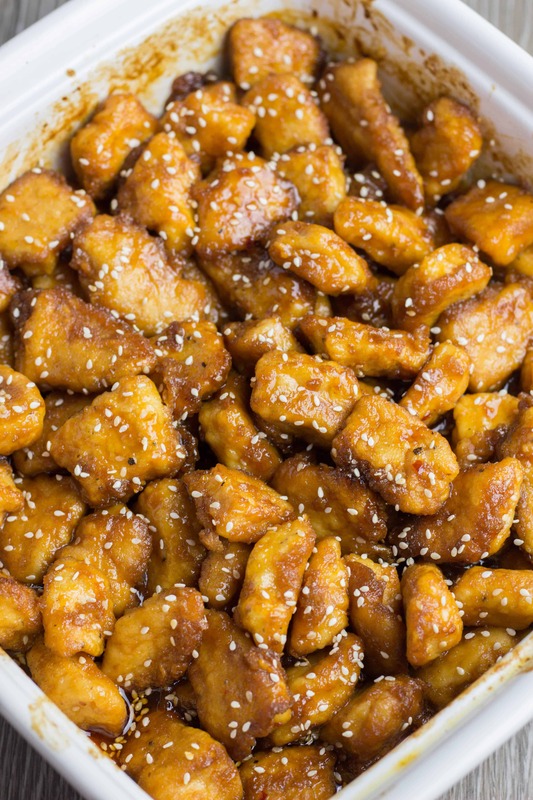 This Sweet and Sour Chicken with Orange and Maple Syrup Glaze is a new family favorite! It is a perfect dinner idea for everyone who loves a great mix of flavors! 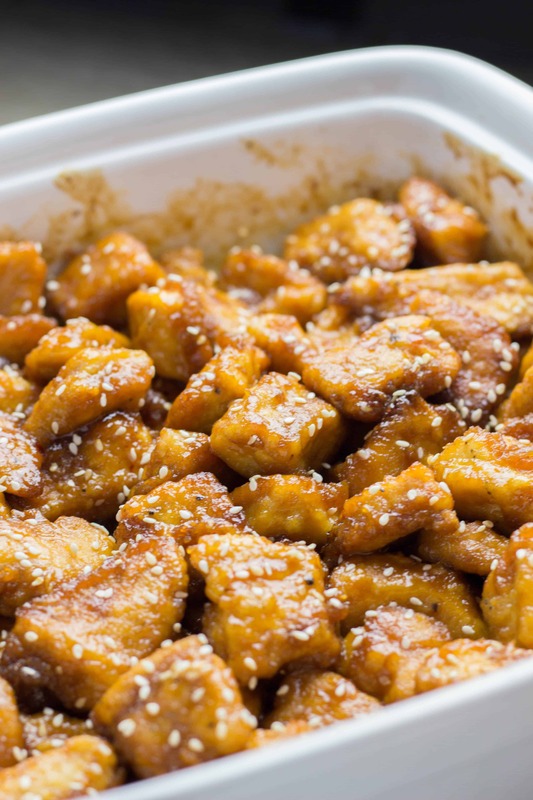 Earlier I posted a quick and easy version of my favorite Orange Chicken which utilizes the sweet and spicy orange glaze. 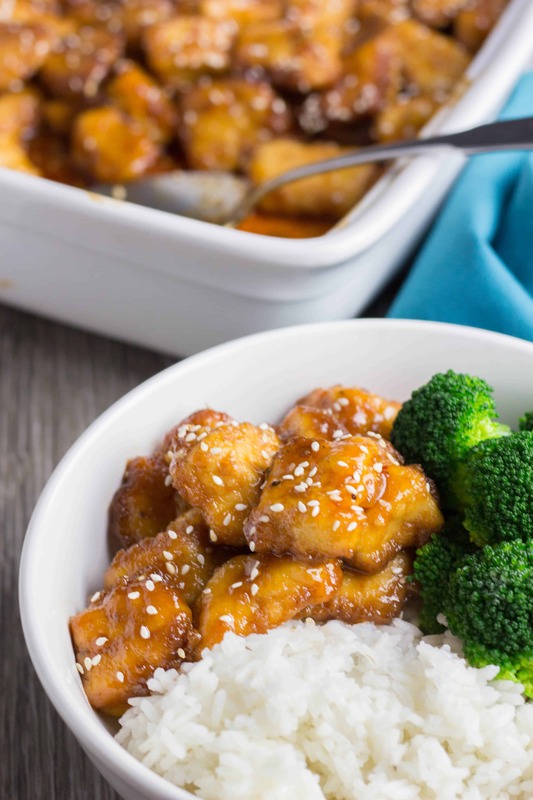 Today, I want to show you the real long version of the mouthwatering, juicy and full flavor Sweet and Sour Chicken with a more defined orange and maple syrup glaze. Are you feeling hungry yet? I am! The idea for my recipe came to me after I made sweet and sour chicken, using a recipe from NatashasKitchen.com. Her techniques are really amazing and I want to give her a credit for such an inspiration! However, I was playing around with the ingredients, and finally, came out with my own version. I added some different ingredients to the sauce to give it some zing. I always like to add orange juice and zest to the sauce, the acidity enhances the complexity of the glaze with the next ingredient. Instead of adding granulated sugar, I mix brown sugar and maple syrup. I have to tell you that it brings the glaze to a whole new level! Maple syrup helps the sauce caramelize beautifully and gives an additional bouquet of flavors. And, of course, I have to add some red pepper flakes to make that sweet and spicy contrast. I usually add about half a teaspoon of red pepper flakes, but you can totally add a bit more or less, depending on your tastes. Usually, it takes me about 2 hours to make this dish, which is a reason why I don’t make it too often. However, this recipe is enough for 5 people and I always have some leftovers for the next day. 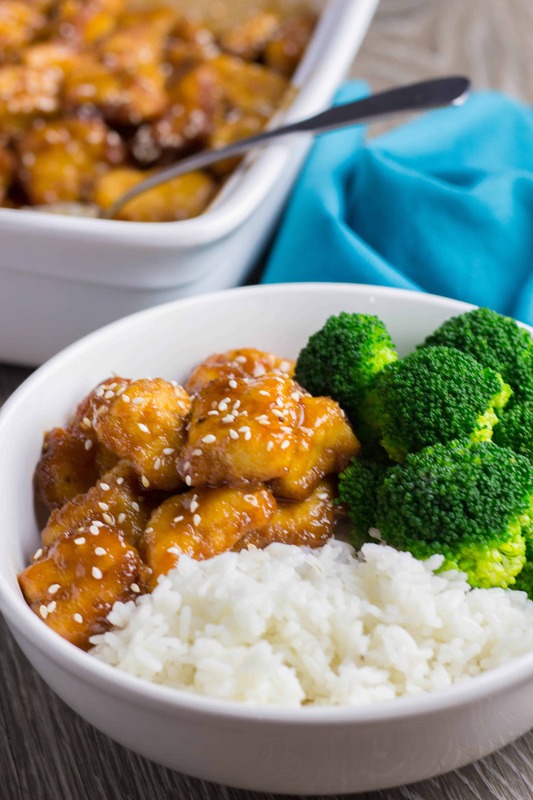 I serve Sweet and Sour Chicken with some rice and broccoli, and sprinkle a little bit of sesame seeds on top. I hope you will like the recipe! And don’t forget to leave a comment below to let me know what you think about it! Cut the chicken into bite-size pieces and season with salt and pepper. Put the chicken in a mixing bowl and add 1 cup of cornstarch, Mix it well, so all pieces will be covered with cornstarch. Preheat 1/3 cup of vegetable oil in a large pan over medium heat. In a smaller bowl, lightly beat the eggs. Dip the bite-size chicken pieces covered with cornstarch into the beaten eggs, coating them from all sides, then transfer them into the preheated pan. Cook the chicken for about 30 seconds on both sides just until it has a beautiful brown/golden color, then transfer to the 9×9 baking dish. Continue to cook the rest of the chicken the same way. In a mixing bowl add orange juice and zest, apple cider vinegar, soy sauce, ketchup, brown sugar, maple syrup and red pepper flakes. Stir it well and add pour it over the chicken. Toss it to coat and bake in the preheated oven at 325°F for an hour. Toss it 2 or 3 times while baking to coat with the sauce. Hi Susan! I’ve never made it in the crockpot, but I’m sure you can. However, if you want the chicken to be battered, I probably would do it separately, then finish it in the crockpot with the sauce.